Chiral recognition phenomena play an important role in nature as well as analytical separation sciences. In chromatography and capillary electrophoresis, enantiospecific interactions between a chiral selector and the enantiomers of an analyte resulting in transient diastereomeric complexes are required in order to achieve enantioseparations. The formation of the complexes is driven by ionic interactions, ion–dipole or dipole–dipole interactions, H-bonds, van der Waals interactions and π–π interactions. Due to the structural variety of chiral selectors applied in separation sciences, different mechanisms and structural features contribute to the chiral recognition processes. 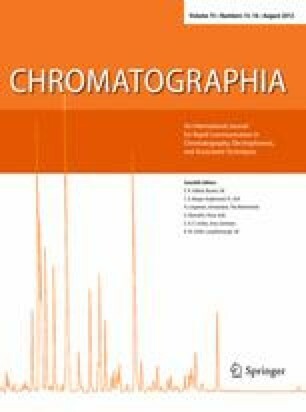 Besides structure–separation relationship studies in HPLC and CE spectroscopic techniques including NMR spectroscopy, circular dichroism and vibrational circular dichroism spectroscopy as well as molecular modeling methods have significantly contributed to the understanding of the enantiospecific recognition of enantiomers by chiral selectors. The present review briefly illustrates the current models of the enantiospecific recognition on a structural basis of various chiral selectors including polysaccharide derivatives, cyclodextrins, cyclofructan derivatives, macrocyclic glycopeptides, proteins, Pirkle-type selectors, ion exchangers, polymers, crown ethers, ligand exchangers, calixarenes, aptamers, micelles forming agents and ionic liquids.